Double A Auction & Realty is a licensed auction firm Virginia . We provide asset valuation and liquidation services throughout Virginia. We are a SWaM certified vendor through eVA. 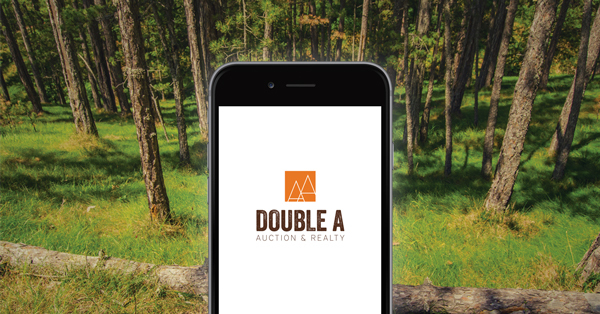 In addition to live auctions, we have an app-based bidding platform that engages bidders through a smartphone or tablet - optimizing the auction experience for both buyers and sellers. We embrace and utilize technology to help you maximize your property's value. William Austin (Andy) brings 10 years of commercial real estate appraisal experience and a lifelong interest in auctions. Andy is a licensed auctioneer, appraiser, and real estate salesperson in the Commonwealth of Virginia. He holds the MAI designation from the Appraisal Institute, and the AMM designation from the National Auctioneers Association. Andy's appraisal career began in 2005 at a small appraisal firm in Roanoke, VA until 2007 when he moved to a large private appraisal firm in Richmond. He formed his own company, Austin Appraisal & Consulting in 2012 and completed the MAI designation in 2013. Andy has completed appraisal assignments throughout Virginia for a broad range of property types including improved multi-family, retail, special-purpose, and industrial properties, high-value residential properties and vacant residential, industrial, and agricultural sites. Clients have included banks, attorneys, insurance companies, and private landowners. In 2016, Andy obtained auctioneer licensure in Virginia and formed Double A Auction & Realty with a focus on real estate auctions. He is a member of the Virginia Auctioneers Association (VAA) and the National Auctioneers Association (NAA). He attended the AARE (Accredited Auctioneer of Real Estate) course in December of 2016 and is currently completing the experience requirements for this designation. In 2018, he completed the requirements for the NAA's Auction Marketing Manager (AMM) designation. In addition to real estate and personal property auctions, he consults other auctioneers in live simulcast auctions.